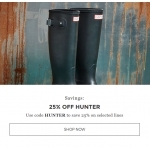 The Allsole Promotion is on with 25% off on selected lines of Hunter. 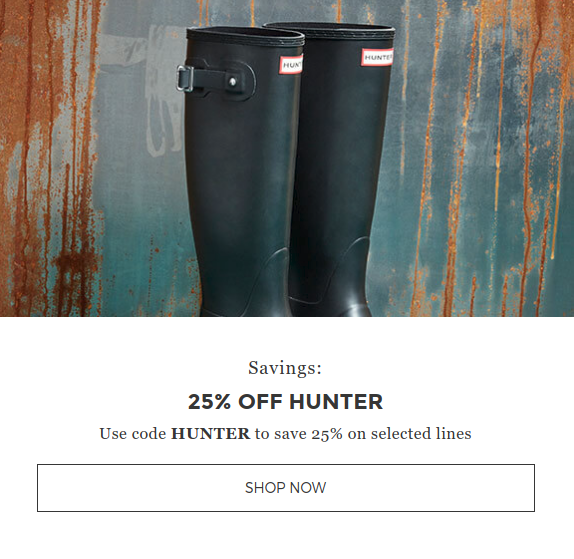 Shop online with promo code: "HUNTER". Free delivery when you spend over £30.